Although these parts aren’t really essential to the proper functioning of the vehicle, they still add a level of convenience, which is almost irreplaceable. Take the trunk gas struts, for example. It is really inconvenient to have to hold the trunk lid every time, you want to get something out of there. And if you often go under the hood, the same thing would apply there as well. Thankfully, the replacement of a faulty gas strut isn’t hard, nor expensive. At Tarostrade.com you will find the largest variety of vehicle parts for different models of automobiles. 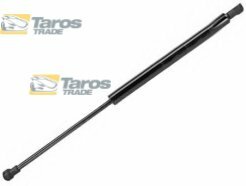 We offer gas struts as well, both for your hood and the trunk lid. If you cannot find any given part, give us a call or use our contact form to receive more information on possible delivery.